Welcome to the OGBA Corporate Sponsors page. This page lists all the companies that have donated time, products, services or financial support. Without these companies and all the private personal support of our volunteers, OGBA would not be able to complete our goals. Please be sure to thank these companies for their efforts if you can. Volvo Construction Equipment – Volvo CE in Shippensburg, PA has graciously donated money to Operation: God Bless America. Advanced Graphix – Thanks to the generous donations of Advanced Graphix for the banners you will see at the registration booths. Legends Outdoor – Thank you to Alayna Madison and Steve Snyder from Legends Outdoor for the Digital Billboard at Deep Creek Lake, Somerset. Getting the word out about our ride for the vets is very important and anything that helps us do that is greatly appreciated. InSite MediaCom – Thank you for the advertising at Star City, Mileground, Route 705. Getting the word out about our ride for the vets is very important and anything that helps us do that is greatly appreciated. Admats by Doc, LLC – Admats is providing ads that run on a TV at local businesses and run all the time on the TV screens. M & S HARLEY-DAVIDSON, Chambersburg, PA – M & S Harley-Davidson has graciously donated money and use of their facilities for fund raising for Operation: God Bless America XXVI. Misty Willow Acres – Operation: God Bless America would like to give a big thanks to Misty Acres Farms for their cash donation to our veterans! Collar City Auctions Realty & MGMT – Licensed & Bonded Auctioneers, Realtors, Liquidators, Certified Appraisers, Consultants provided a cash donation for our vets! Manitowoc Crane, Shady Grove, PA – Manitowoc has graciously donated $500 to Operation: God Bless America. First United Methodist Church, Mercersburg, PA – The First United Methodist Church (FUMC) of Mercersburg, PA, exists to Draw near to God, through corporate worship; Drink of Living Water via discipleship in small groups; and to Deliver the hope of Jesus Christ to the World. Travel Centers of America, Greencastle, PA – TA and Petro Stopping Centers is the largest full-service travel center company in the United States. Country Pride Restaurant, Greencastle, PA – As part of the T A Centers, the staff of Country Pride have assisted OGBA each year. Rockwell Construction, Mercersburg, PA – Located in Mercersburg, PA., Rockwell Construction Co., Inc. is an award winning family owned and operated, General Construction Company with over 50 years of experience. Chamberlin & Wingert, Chambersburg, PA – We would like to thank Chamberlin & Wingert for their promise to supply the services the day of the ride. 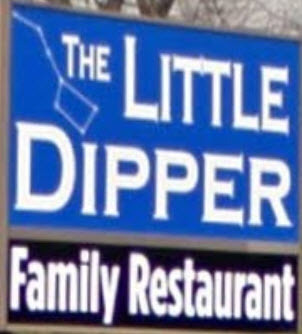 Lamar Digital Signs of York, Pa. – We would like to thank Patrick Duggan and Timothy Freed and everyone else at Lamar, for the beautiful job they did on the digital road signs for York, Pa. The digital signs will start running the week of May 11th until the day of the ride. 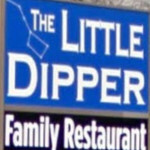 The Little Dipper Restaurant, St. Thomas, PA – serving excellence to people who want simple, delicious home town cuisine will also be serving ads on their in-house TV’s for OGBA. Waste Management, Greencastle, PA – You’d be amazed at how much trash is generated on ride day. We thank Waste Management for providing the trash receptacles. Beck Manufacturing, Greencastle, PA – One of the Nations top manufacturers of high quality pipe fittings. OGBA Ride is in need of additional corporate services. If you or your company can volunteer or donate the following, please contact us through our Facebook page. Money – We are always in need of money to donate to the Vets at the VA. Our mission is the Vets and Vet services, please send what ever you can by clicking here and donating on our GoFundMe page. All donations go to the Vets!